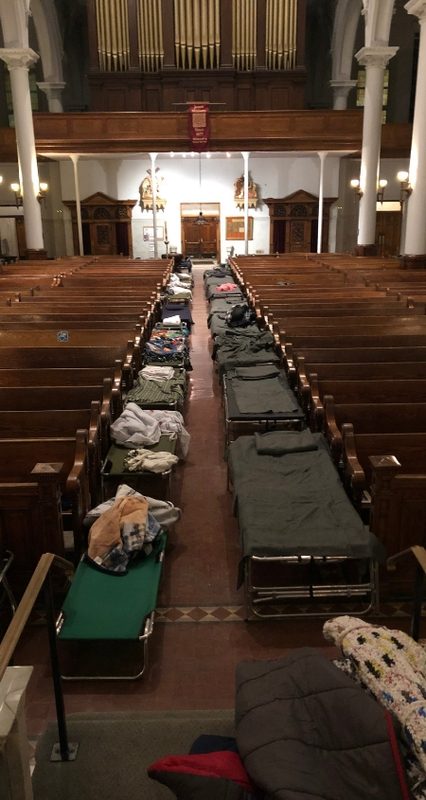 From Tuesday evening, January 29 through Friday, February 1, the Pope Francis Center in Detroit, Michigan, a ministry of the Midwest Jesuit province, responded to needs of those experiencing homelessness during the extreme “polar vortex” temperatures experienced in the city and across much of the midwest. 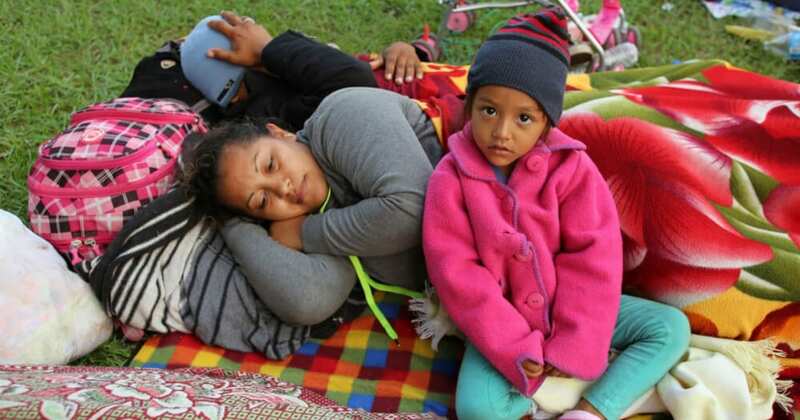 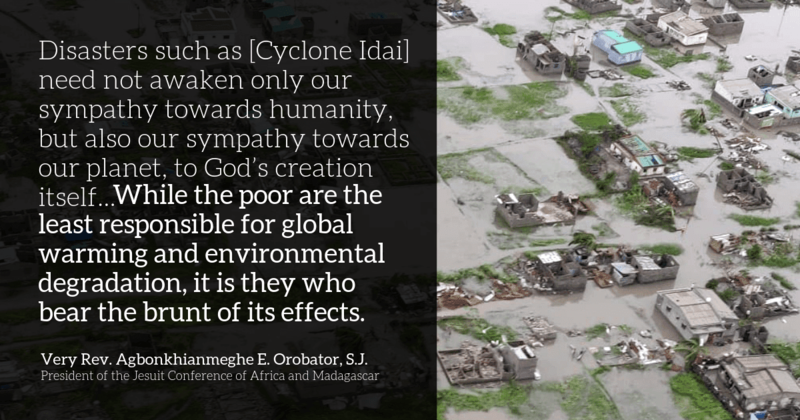 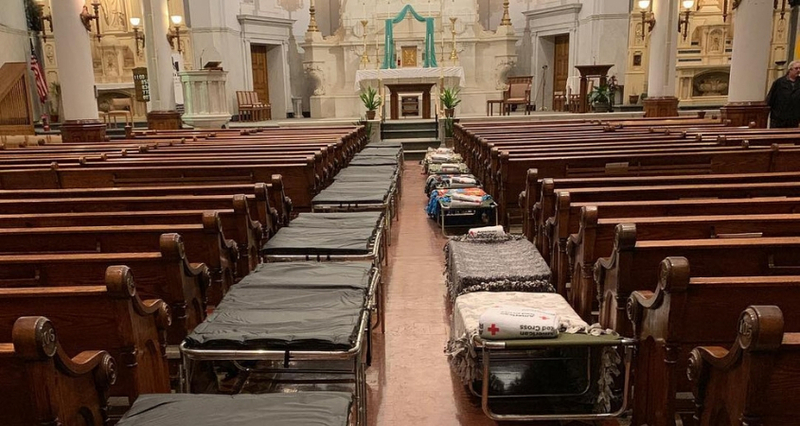 Initially, the Center borrowed cots from the Red Cross and planned to host 40 men and 8 women. 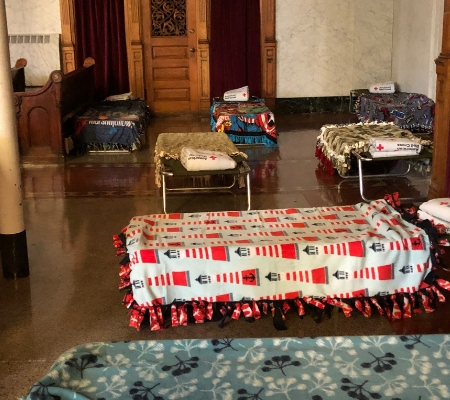 However, when the City of Detroit heard about the emergency shelter plans, officials deployed a “mobile crisis unit” to support operations. 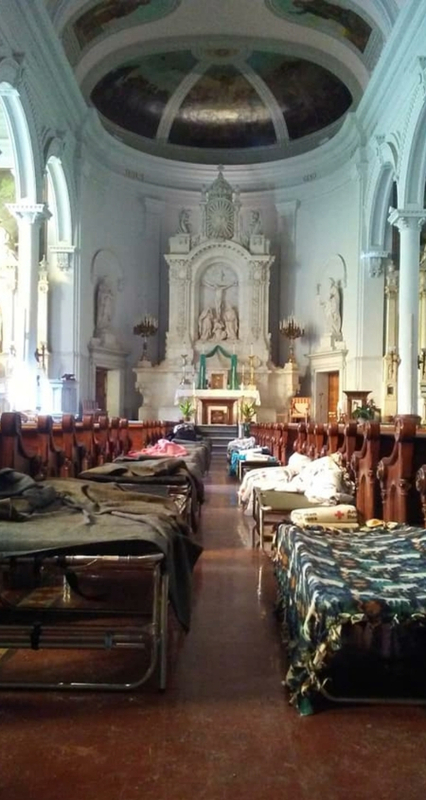 At least two emergency medical service professionals were stationed in the center 24 hours per day. 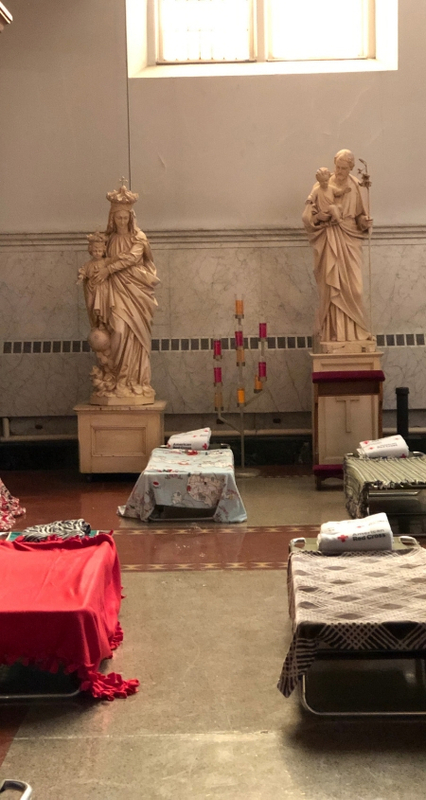 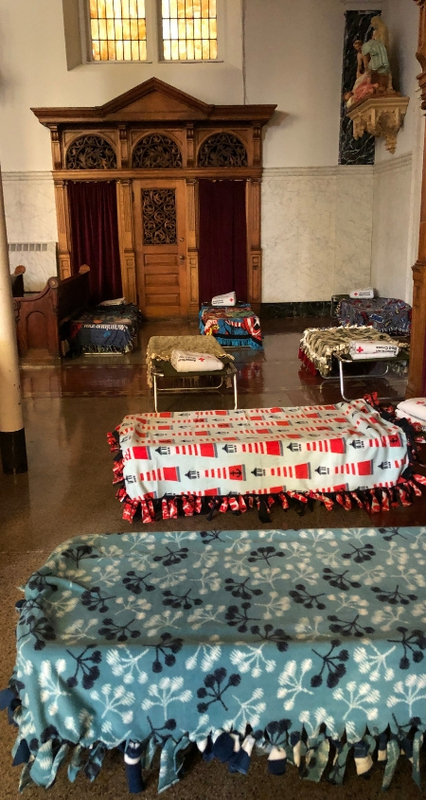 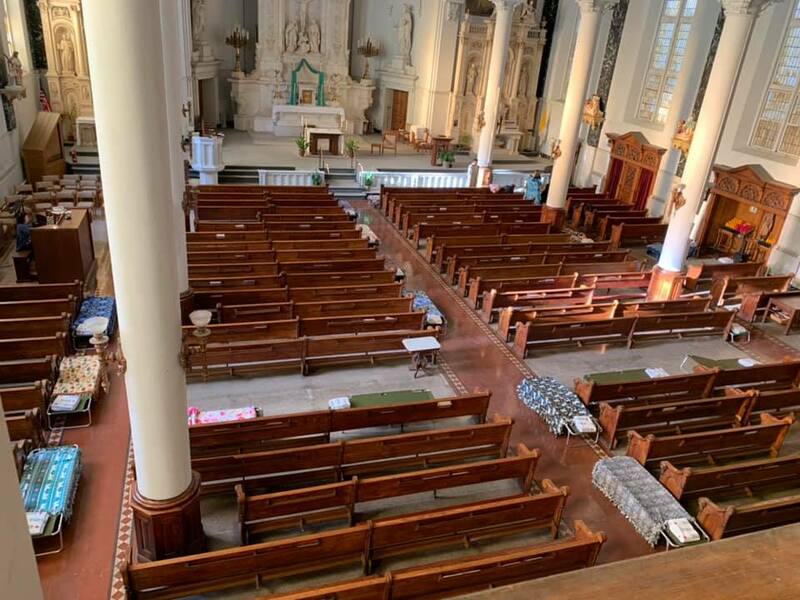 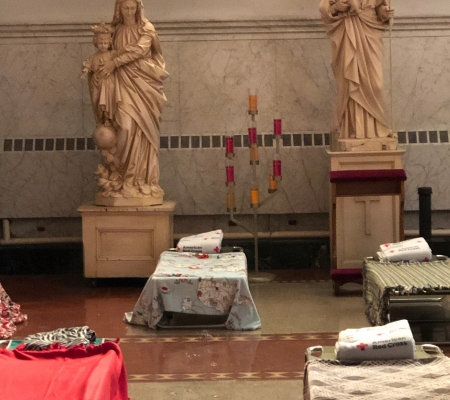 Additional cots and blankets were provided to increase capacity to 88 men and 8 women in the church sanctuary and surround spaces. 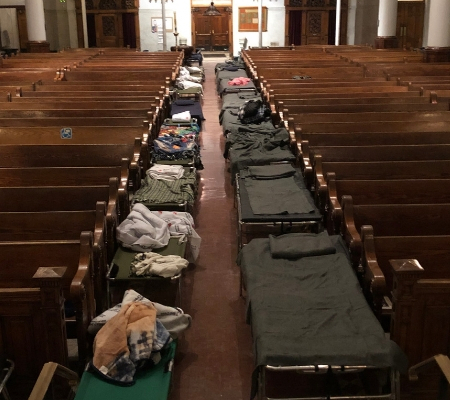 Homelessness: What Happens in the Spring? 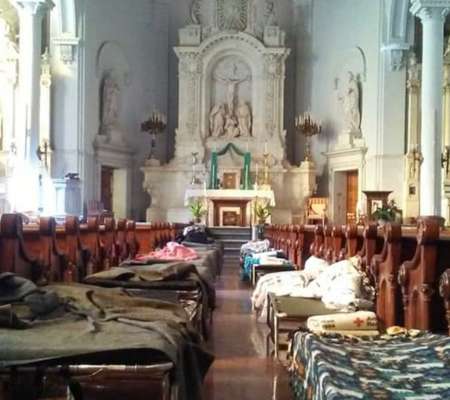 When I was homeless and a stranger you invited me to rest – says the Lord.